Some of the Brown cars were a bit on the unusual side. 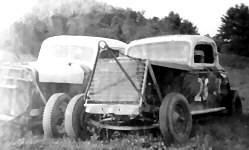 Two of Walt Sr.'s cars. 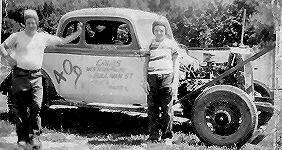 An early Walt Brown, Jr. car. 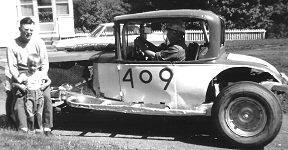 He seemed to always use #409. 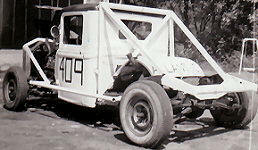 The first Walt Brown, Jr. car I recall. 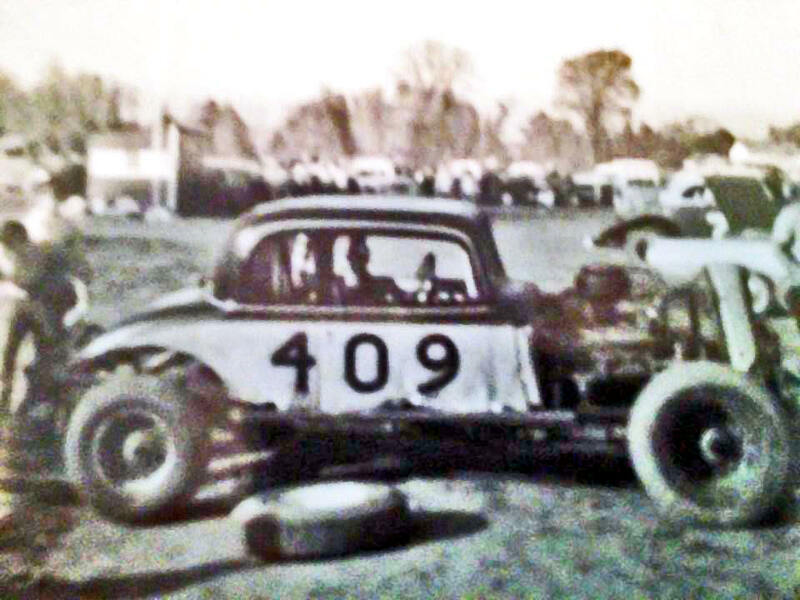 This one won one of the first heats in the debut of C.J. 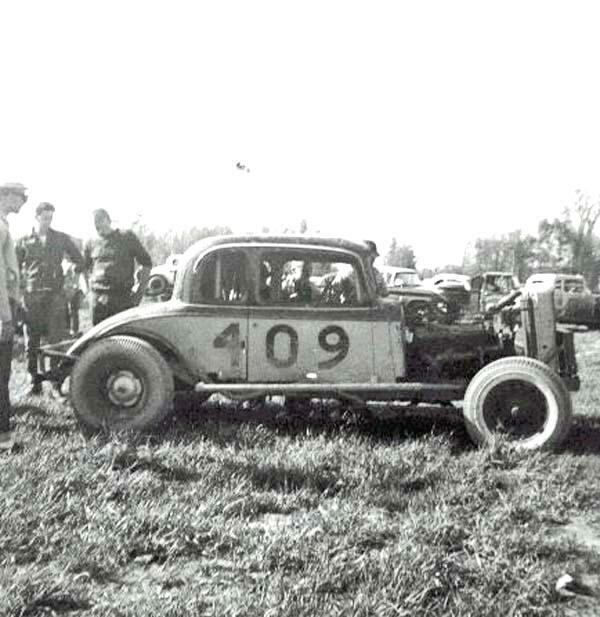 Richards' Fairmont Speedway. 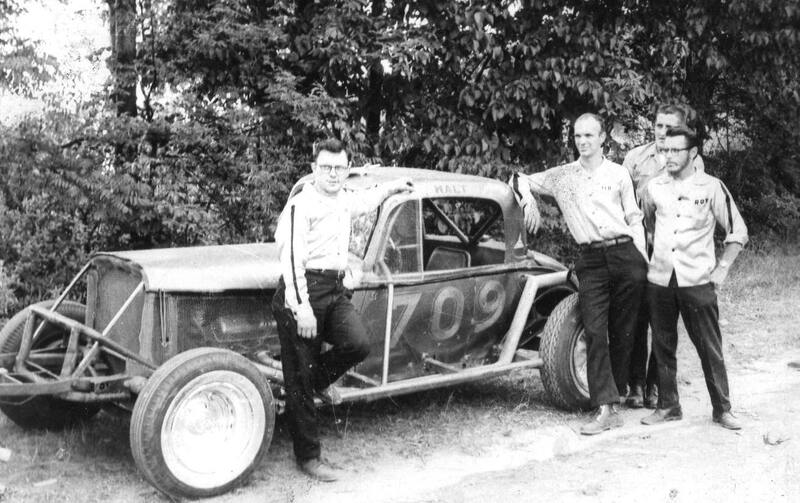 I discovered the last Walt Brown, Jr. car I ever saw in the background of this 1965 Fairmont photo I took of Johnny Richmond. 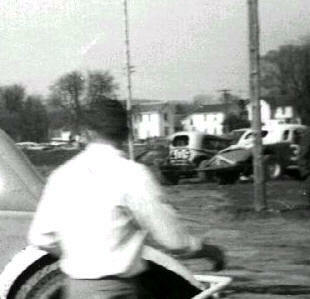 This was that odd, insect-like cutdown sedan he had. 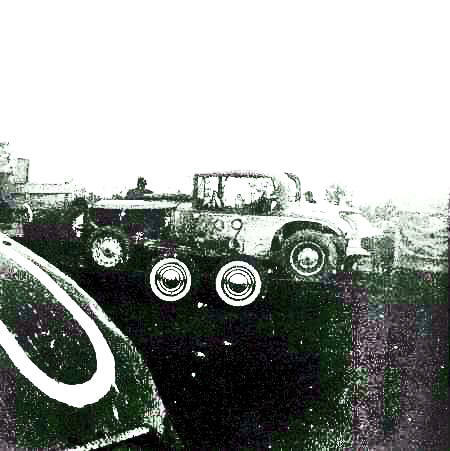 Same car - in color. Another Walt Brown, Jr. car. Much more recent. Dropped the 9, for some reason.